British Airways has announced two new Summer routes to Preveza (Greece) and Bastia (Corsica) starting from May 2019. 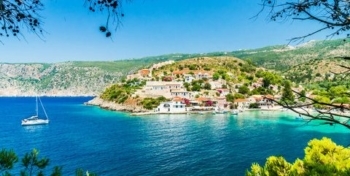 Flights to Preveza will be operating on Wednesdays and Sundays starting on 26th May, departing London Heathrow at 08:20 on Wednesdays (arriving 13:45) and 11:25 on Sundays (arriving 16:50) and returning from Preveza at 14:45 on Wednesdays (arriving 16:10). This seasonal flight will be operated until 29th September. Starting on 25th May there will also be a once weekly flight from Heathrow to Bastia. This flight will be operating on Saturdays leaving Heathrow at 07:40 (arriving 11:00) and returning from Bastia at 11:50 (landing at 13:10). The last flight of the season will be on 28th September. As new routes, London Heathrow to Preveza and Bastia are wide open for Avios availability and bookable as of now. On the downside, British Airways has announced that flights to Murcia will not resume next Summer. There has also been an unannounced cut in the weekend services from Manchester to Ibiza, which drop from four weekly flights to just one. 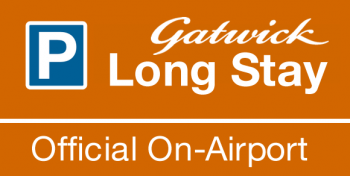 Official Gatwick Parking has extended its current 10% discount offer for anyone looking to book. Via this link (click) you save 10% on long-stay, short-stay and Premium, valid for any dates to 31st March 2019. Heathrow Rewards, the loyalty scheme for shopping at Heathrow, has launched a 50% bonus on transfers to Asia Miles. The minimum transfer is 250 Heathrow Rewards points, getting you 375 Asia Miles with the bonus. Bigger transfers must be in multiples of 250 points. The bonus applies to all transfers to Asia Miles before 15th November. Unlike some recent Heathrow Rewards deals, the bonus is the same – 50% – for both basic and Premium Tier members. Does anyone know if an automated ‘rewards night availability’ search engine exists for Marriott/SPG properties? I’m thinking something like BAredemption which pulls availability periodically and notifies? Trying to redeem points at a specific property but only cash rate available at the moment…manually checking is a drawn out process…anyone come across something like this? OT: Something slightly amusing happened to me last week. I stayed Friday night (12-13th October) at the Holiday Inn Prague Airport, which cost 15,000 IHG points. My flight was late, which meant I didn’t check in until about 2am. Everything was perfectly fine with the hotel. However, when I look at my IHG account now, I have been refunded the 15,000 points. In my stays history, the stay is shown as 0 nights – 13th October to 13th October, and costing 0 points. I haven’t been treated as a no show or charged a no-show fee, but I have seemingly had a reward stay of 0 nights. Anyone else had anything like this happen? People must check into hotels after midnight all the time, particularly at airport hotels, so I can’t imagine this happens every time anyone does. BEWARE. This is what IHG rules say: if you ‘no show’ on a points night, you get your points back BUT your credit card is charged the fully flexible room rate for that night. It happened to me once – I wrote about it but, as I didn’t name the hotel, I can’t find the article. I forgot to cancel a redemption for my brother and, at 9am, I got a Amex notification on my iPhone showing a £200 room charge going through. I quickly realised what had happened, called the hotel and had a row over what constituted ‘check-in’. They agreed that as long as I turned up before 11am (check-out time) I could officially check-in and I’d get my £200 back. So I threw the kids in a taxi (wife was out), dashed to Camden, checked in, nicked the room toiletries and then we hit the market for a bit! Yes, I understand that this is what is supposed to happen, but in my case only half of it has. The points have been refunded, but nothing has been charged to my credit card. I haven’t received any e-mail or notification telling me that I am going to be charged, either, and the night is shown in my past stays on the IHG website (but with the same day for check-in and check-out). Perhaps they were half way through the process of marking me as a no show when I walked in the door. I’ll keep watching my credit card, obviously. IHG sometimes correct their own points mistakes later, even months later. Presumably the hotel will realise at some stage that they haven’t been paid by IHG for the stay, so IHG may stilll deduct the points from your account. Rob, after an overnight flight I need to check in to IC Bangkok around 7am. I have booked paid nights before and after. Do you think this will be ok and should I still get 2 nights credit? Yes, will be fine BUT let them know in advance as they decide you will be a no-show and give your room away if full or if someone turns up at 2am without anywhere to stay. I wouldn;t call 2am a no show. One hotel I use regularly told me they consider it a no show if you haven’t turned up by 8am unless you’ve called them. If you did this on the first night of your reservation I guess all the nights of your reservation could get flushed? It was mentioned in a number of posts yesterday, but nobody posted the link. Whereas people ringing Amex CS get no joy these days if they ask for cardmember offers to be added, there are reports of people seeing success when they ask for a card upgrade offer. When using Priority Pass at Gatwick Granary Store – do you get £15 credit for a guest too or only PP cardholders do? Was there with my wife recently, managed to use self plus guest on my priority pass card and one use on hers to cover the whole bill. The waitress went to ask someone but came back saying that was fine. Hope to use Preveza flights next year. Parga, nearby, is stunning. OT Have seen the answer in the comments before but can remember which article. Had Amex Gold upgraded to Plat after 4 months, no fee charged. Coming up to original Gold anniversary which I believe will trigger Plat fee to be charged. Is this retrospective ie for the 8 months I’ve had Plat + a further 4 rather than for a further 12 months? Thanks in advance. No, you will just get charged £450 for the next 12 months. This is obviously refundable pro-rata if/when you cancel, of course. Best to use starling, curve or Revolut. I have all 3. And for Norma card purchases? Purchases = Revolut (no charge during the week and benefit of underlying card top up points). Weekend is 0.5% charge in EUR but you can earn that back on underlying card points. Curve has now charged charges but I’ve no limit. Starling not for purchases in EUR. I used in South Korea and HK recently though when Revolut’s weekend surcharging is prohibitive. How is starling topped up? Isn’t curve zero FX charge now up to a certain £ amount ? Provided you withdraw during the week, hit that withdrawal limit before charges hit, then switch to starling as suggested (only recently became their customer) – at least you bank some points. thought curve was 0% now? Sorry Genghis maybe I’m missing something here. If you’re happy to use Starling for cash withdrawals, why wouldn’t you also use it for purchases? OK it’s a debit card so no credit card protection, but you obv don’t mind that if you’re using Revolut instead. Revolut = limits and charges on cash withdrawals. Rewards on purchases from underlying card. Oh I see, rewards from topping up using a credit card. Knew I was forgetting something. Cheers G.
That for me would be my Halifax Clarity card. Starling is okay for cash withdrawals but the topping up and withdrawal limits are strange and quite low. Fair enough. However, why they keep it for old customers and not offer it for new ones? I remember reading that it was cancelled for most customers and I am surprised I am one of the lucky ones! As a follow on to the stansted escape lounge, I’ve heard that’s it’s almost impossible to gain entry in the early mornings. What about prior to a 5pm departure? The thing that annoys me about the Stansted Escape Lounge is that it closes at 8.30pm, when the last flight normally departs around midnight. Yes, it is true that there are relatively few flights after 8.30pm, but there are some. Also, there are often a few flights that have been delayed. If my flight is delayed – that’s when I most want a lounge. +1. They’re not interested in serving the stragglers I expect. they are open for the good hours not to provide a service. The only airport I dislike more than Stansted and Luton is Berlin Schoenefeld. Just about OK landside if not too crowded, but rubbish at all times from the point you start going through the xrays. I’ve always got in at 4.30am. Much after that though, and I see people being turned away. Large parties that book there can close off lots of the lounge. Even at that hour. They seem to reserve tables hours before the people who booked them will arrive. Without a lounge I don’t think I’d have the strength to use Stansted airport. IMV it’s a hellhole that only exceeded in hellishness by Luton. Any advantage of using Marriott APP Check-in? None IMO. Much better dealing with people face-to-face. Not until the day they convince us that you won’t get a better upgrade at the desk (which you usually will). Stayed here for one night on points in Feb this year after disembarking from cruise ship, super hotel!! I’m a Marriott Gold, so at the time was in line for lounge access/breakfast/late check out etc. Didn’t do online check in, but upgrade was showing in the app the night before. Did a “walk off with luggage” from ship, so arrived at the hotel just just after 8am, couldn’t do enough, wonderful check-in desk experience then shown to the “lounge” to enjoy breakfast. Just over half an hour later someone from the front desk arrived up and presented me with my room key! Made our way up before 9am to be greeted by our suitcases in a suite overlooking the city/Clarke Quay area, marvellous! Hotel right next to Raffles and a short walk into town. Late flight home next day, so given a 6pm checkout, then some food and a few aperitifs in the lounge again before taxi to airport… even gave us both a free arm and hands massage over afternoon tea in that lounge! With the early check in and late departure we spent almost 2 full days there and never it cost me a penny. ….except now, everything has changed. OT: Do CE passengers flying out of LCY get any vouchers in lieu of lounge access? – a light meal, the value of which depends on time of flight. Quality was decent IIRC and the booze is freely available (not that it’s usually restricted in ET – remember LCY isn’t on “buy on board” and shows no signs of going that way). – extra tier points and Avios if it’s a cash booking. IMO it’s really not worth it unless you need the TPs. And 2 large suitcases. I recently cancelled a Y redemption and booked one in J from LCY to AMS when I needed to take a lot of kit across – much cheaper than the fees they wanted to charge for extra bags in Y! I always forget about luggage as we never use more than one bag short haul, and never fly less than business long haul*. You can go back 6 years. If this is comp under EC261, can I go back and make a claim from Lufthansa for their own, frequent, industrial action? Flight was GER to UK. Sure – CAA is encouraging it against Ryanair for the same reasons you would probably win against Lufthansa. CAA considers the airlines have NOT done their best to keep the flights going in these in house strike situations (which are foreseeable and manageable). Be prepared to fight, though. Or consider Bott & Co if you don’t want the hassle. Do you think that’s fair @Shoestring? I think that’d depend on the size of the airline & it’s ability to sort out crew issues – for Ryanair, BA, Lufthansa: they’re huge and should make back-up/ contingency plans. Also all 3 seem very poor at managing staff to avoid strikes. Also knowing that 95% of people won’t claim, then yes I would look after number 1 even if it was slightly unfair to these huge corporations. Maybe make it fairer by not letting crews go on strike without 15 days’ notice. Planning to do a Fri-Sun somewhere reachable via Eurostar in the middle of November. Any particular good SPG hotel redemptions I should be aware of? Hum. November. Freezing and foggy in a lot of places. However wine, mushrooms and truffles wonderful at that time. Game in season. Sorry I don’t know any nice SPG /Marriott hotels in Piedmont/Alba, or Burgundy. But I wish I did. OT. I’ve been told it’s best to order Thai Baht before arrival. What is the cheapest way to do this? Can I order it from somewhere in Baht and have it charged to Curve, therefore saving on FX fees? Thanks, sorry if this is a stupid question. I thought physical cash in Bangkok is best? Rule always used to be: take USD banknotes and get them changed locally (in BKK) for the best exchange rate. Can’t see you stand to lose much if you used an ATM (there’ll be a small fee such as 200 Baht) and withdraw (say) £300 a time on a card such as Clarity. All the hotels will accept cards. I wouldn’t get Baht n the UK – crap rate everywhere. Thanks, might take some USD then as 200 Baht is nearly 5 quid a time. I was wondering if ordering Baht online can I also PAY in Baht, therefore avoiding any FX fee… I guess not otherwise how would they make any money! Yes. Take £50 notes and change them at SuperRich on Sukhumvit. If you must use a Thai ATM then do large withdrawals. O/T amongst a lot of the usual dross on FT there is a gem today – BA AGP-LGW £13.50 ow (Malaga-Gatwick) – various dates January through May 2019. Decent long weekend for £50 return. Not an error fare. Cheap car hire in off season as well. H/T FT.
Wow. That’s good. I booked for end of April but via LHR. Shame not refundable. Wow. Easyjet will be trembling in their shoes. The total maximum ARV of all prizes is $3,731,553.40USD. Limit one (1) Instant Win Prize per person, per day. Hurrah! Thanks for the heads up, another 50 points each for us. Marriott seems to have done more U-turns than I don’t know what. Whoop! Just won a second 50pts on my partner’s account. Worked out I can play in the time it takes our vending machine to make a cup of tea so persevered on my own account but I’m now back to two plays a day for both of us.